For this church wedding, I had spent most of the service at the front of the church, to one side inline with the vicar, allowing me to get a perfect view of the bride and groom. After the signing of the register, the bride and groom went to the front of the church in order to receive a blessing from the vicar. I used this opportunity to move to the back of the church, ready for when the bride and groom would make their trip back down the aisle. I took a knee in the centre of the aisle, careful to not disturb anyone and took a few images. 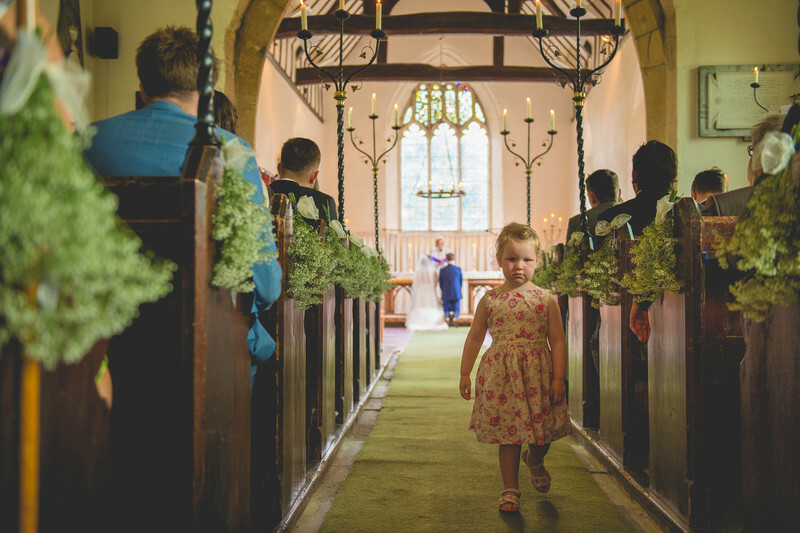 Without warning, this young wedding guest left their seat and started walking towards the rear of the church. I adjusted my composition, and grabbed a few frames of the child walking towards me. The thing I love about this reportage wedding photo is the look on the face go the girl, she looks like she's had enough of the wedding and has decided to make her exit! I also think that this image works particularly well because, as the girl is walking to one side of the aisle, I was still able to see the bride and groom to their side. This is really the ultimate goal of a reportage wedding photographer - being able to tell the story of a wedding without needing words. 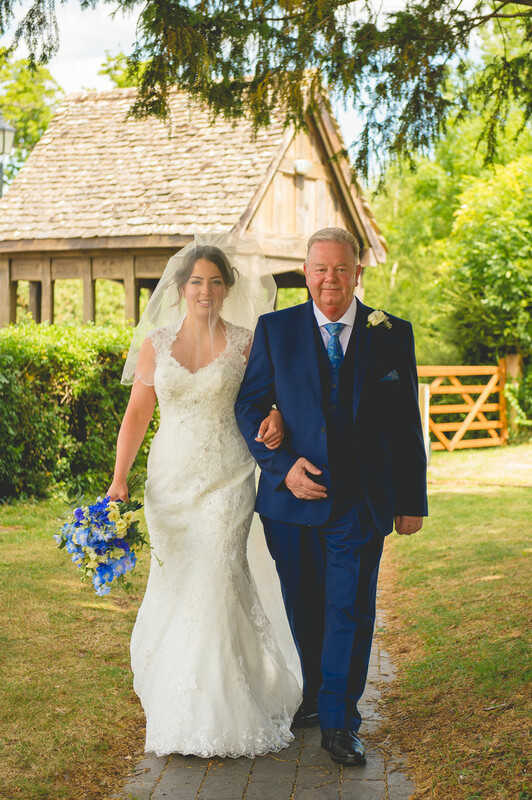 Without the bride and groom being visible, this would just be an image of a girl walking down a church aisle, but the inclusion of the bride and groom in the photo makes this image undoubtedly a wedding photo.